The same cedar trees that provide wonderfully bug-repellent wood for home siding and hope chests are hosts of a fungal disease capable of destroying fruit and hawthorn trees. Eastern red cedars infected with Gymnosporagium fungi develop grotesque, orange or brown growths along their branches with the arrival of spring. While rarely damaging the cedars, the growths release spores that infect hawthorns and fruit trees up to a mile away. Three Gymnosporansium fungi account for three different cedar rust diseases. The most common disease, cedar-apple rust, results from G. juniperi-virginianae infection. G. globosum infestation causes cedar-hawthorn rust. Cedar-quince rust develops from G. clavipes. All three fungi depend on both Eastern red cedar and a rose family tree or bush for their survival, according to the Cornell Cooperative Extension website. The Gymnosporangiuim fungi spend only part of their lives as growths on cedar trees. The cedar-apple rust pathogens also infect apple and crab-apple trees. Cedar-hawthorn rust moves to hawthorn, quince, serviceberry and pear trees, while the cedar-quince rust is capable of infecting hundreds of members of the rose family. Mahogany-brown cedar-apple rust growths are kidney-shaped. Up to 2 inches in diameter, they sprout bright orange, spore-producing tentacles during their active spring stage. They can produce spores for as long as five years. Cedar-hawthorn rust causes up to 1/2-inch-round branch galls with reddish-brown, tongue-like spore capsules emerging in wet spring weather. They also remain active for up to five years. The most widespread of the three diseases, quince rust produces cigar-shaped growths and cracked, rough bark on infected cedar twigs. During the spring, the growths develop jelly-like cushions of spore tissue, notes the Cornell Cooperative Extension. Cedar quince growths are perennial, returning indefinitely. Cedar tree growths from Gymnosporangium infestations are--at best--unsightly. They seldom cause more damage than twig die back. Fruit tree infections from the fungi, however, are capable of severe damage, including early leaf drop, undersized fruit and twig blight. Cedar trees as far as a mile from fungus-infested fruit trees and hawthorns are vulnerable to spore contamination. Separating the cedars from rose family trees in a home garden is no protection. A far better solution is to plant rust-resistant apple, crab-apple and hawthorn cultivars, advises Iowa State University Extension plant pathologist Christine Engelbrecht. Her suggestions include McIntosh and Delicious apples. 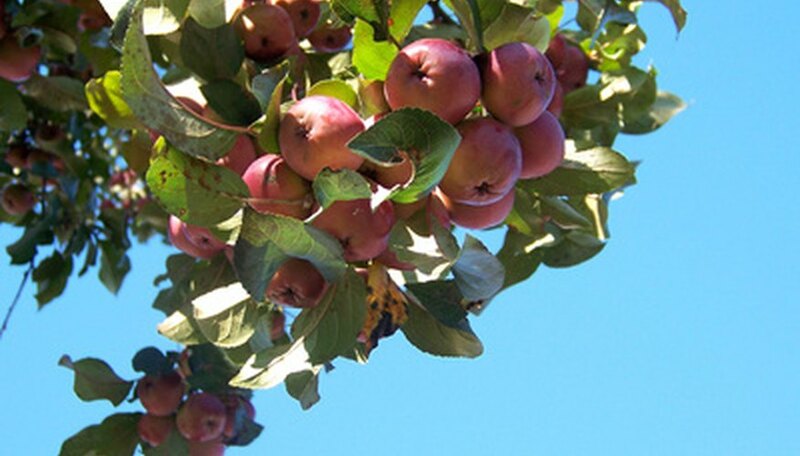 Adams, Prairie Fire and Indian Summer crab-apple cultivars are among several that qualify--as are English, Washington and Winter King green hawthorns. Removing galls as soon as they appear in spring and following up with an early August spray application of bicarbonate or copper ammonium carbonate is Cornell's recommended treatment to control rust disease on infected cedars.